We want every customer to enjoy our high quality service, even if you find a cheaper price elsewhere. We believe there is no reason to buy your SSL Certificate or Site Seal anywhere else and hope you will give us a chance to beat the advertised price you have found. Trustico® offers a high quality service, issuing SSL Certificates within minutes and with ease. Generally we don't compete with the "cheap" SSL Certificate suppliers publicly on our retail site because our service includes so much more! If you find a product from another provider that is considerably cheaper than ours it is important to ask the question - why are they cheaper? 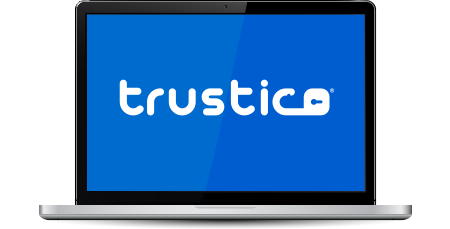 As one of the largest and favorite SSL Certificate retailers globally, Trustico® sets the standard in offering a high quality SSL Certificate service and has adjusted its retail pricing structure to reflect fair and reasonable pricing. We'd prefer not to lose your your business, if you have found a cheaper price we'll ensure to welcome you as a customer of Trustico® by matching the price you have found elsewhere. Some other providers offer SSL Certificates that don't quite meet the standards of the SSL Certificates that we offer, don't worry - we'll still attempt to match the price and provide you with a higher level of service than what you may have experienced elsewhere. If you have not purchased from us yet we can provide you with a discount coupon code to use on our site, simply use our live chat service or visit our Contact Us page to send us an online e-mail to request a coupon code. If you have already completed your purchase we'll refund the difference when you advise us within 7 days of your order. Trustico® will only match an advertised price on a genuine competitor website (excluding promotions or special deals). If you would prefer to speak to us on the telephone to obtain a discount coupon code please call 0330 010 8920 during normal business hours.